Just for Tots #3 was established in 2012. 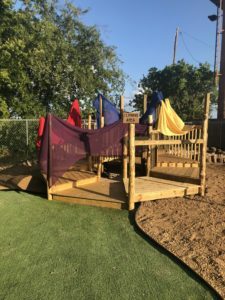 Our playground consisted of the typical swings, slides, spinning tea cup and playground vehicles. 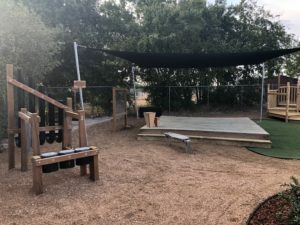 While going through the accreditation process, Workforce Solutions of Central Texas inspired our center to implement a nature-based learning space that would benefit the children in numerous ways. 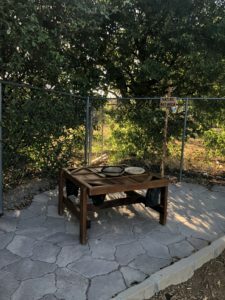 We began our journey by removing and donating the old equipment, pruning vines, removing the ground surface, which took a lot of manpower (a big thank you to our families), and from there the creation began. 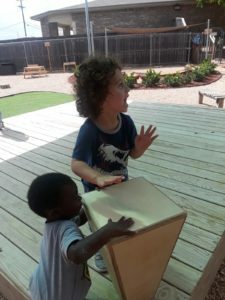 Now the space is more than a playground, it’s a learning environment. 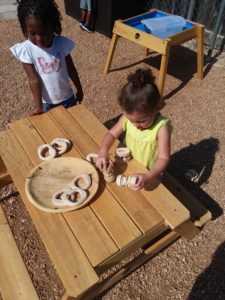 Our outdoor classroom has created various opportunities for the children to learn through nature, whether its digging, gardening, water play, writing letters in the sand, or using the log chips to enhance mathematical concepts, learning occurs everywhere. 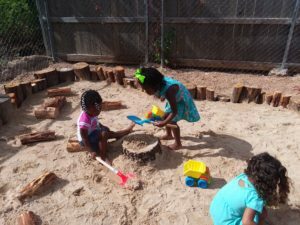 The children are able to connect with nature in an abundance of ways. They notice the beautiful aspects that nature has to offer. 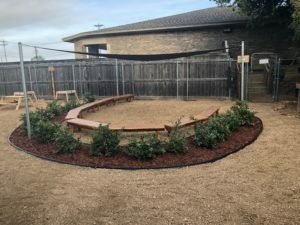 They lay on the ground and see the clouds, notice dragonflies, birds, ladybugs on a leaf, and they get excited to water the plants and learn about the life cycle of plants. 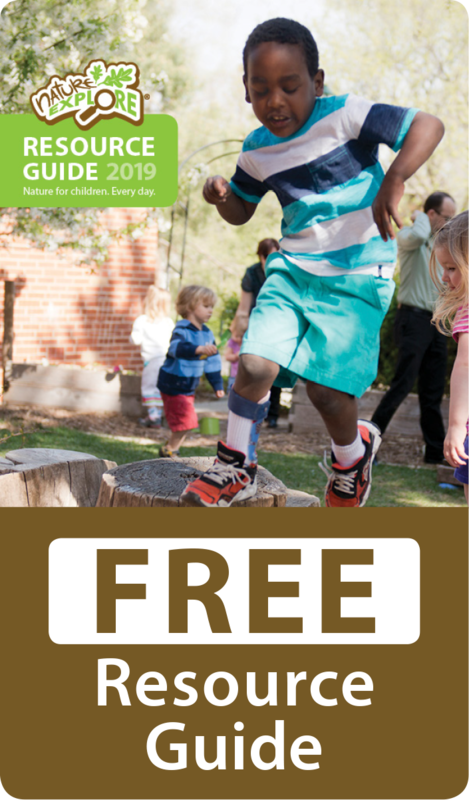 Instead of pulling the leaves off the tree and flowers out of the ground, now they tell their friends to let it grow. In the future, we plan to add more plants and shading to the areas where the lovely Texas sun is always shining. 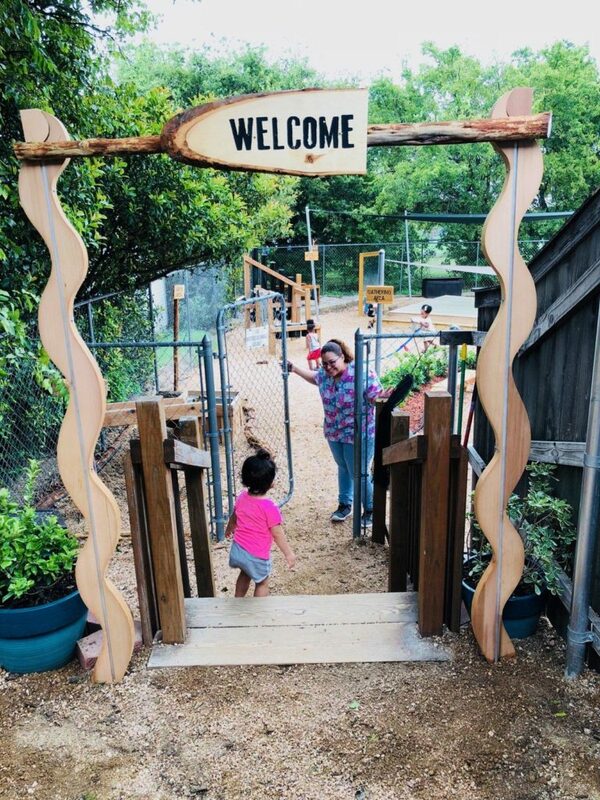 Thank you to our families, volunteers, Nature Explore team, Workforce Solutions of Central Texas and staff members for helping Just for Tots #3 create such a beautiful space for our children.